The advances of the pain techniques have been rapidly grown over the last decade. Pain clinicians use different technique in these procedures. Especially, to use the image guidance for the pain therapeutic procedure is proved by the recent systemic reviews, and the choice of image guidance is depending on the practitioner’s preference with conventional fluoroscopy or computed tomography (CT) which can perform low milliampere technique. The utility of CT-guided nerve block is well known and has many advantages because of its characteristics that can show the view of vital organ as high resolution and vascular component. It also provides the accurate location of the block needle to prevent the organ and vascular injury to perform the effective neurolytic block. 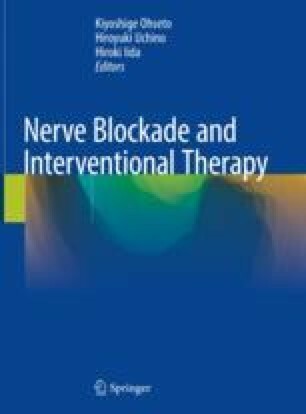 The goal of this chapter is to provide the basic overview of CT-guided nerve blocks for interventional pain procedures.